We now call our members "uniters" because we desire to unite and promote multiple patriotic sites so that we have members en masse who become active, positive patriots! And, as we do so, we realize more and more that this is true: The Tea Party is alive and steaming full speed ahead! Contrary to media's focus on other hot topics, we're quite aware of an enormous movement simmering with passion. While only three years old, the Tea Party has made a huge impact in government and patriotism in America. The Tea Party welcomes God back to America and a return to the U.S. Constitution as our country's solution. It beats the odds to a pulp. It's the immutable voice of the American people being heard - through a loud speaker held by a stay-at-home mom (who works hard, by the way)! Myth: The Tea Party is slowing and has never made a real difference. Fact:The Tea Party is responsible for the largest turnover in the U.S. House in more than 70 years! It has transformed the Republican base by saying 'no' to moderate policies. For example, thanks to the Tea Party, new conservatives have filled governors' mansions, statehouses and, of course, Congress. The media may not willingly emphasize tea party victories, but the movement's impact is undisputed. One stunning victory occurred last summer. With a tough, no-compromise strength, House Tea Party supporters forced Speaker John Boehner to postpone a vote on legislation to raise the debt ceiling and add a balanced-budget provision. Steeped in a sense of urgency, confidence, and perseverance, the Tea Party continues. Through a grassroots movement, Tea Partiers communicate with and activate voters. Come Election Day, we know how to pull the lever in the ballot box. In fact, like a pioneer clearing land in Iowa, it tills the now-wild political field. And the crop has succeeded and it's growing afresh. We believe in positive patriotism, faith, and freedom. The movement endorses basic American values such as reduced government spending, lowering taxes, reducing the national debt and federal budget deficit, and following the U.S. Constitution. The Tea Party consists of people the elite might overlook: Small-town moms and dads, small business owners, students - simply "ordinary" Americans doing extraordinary work. They are standing up for liberty following the example of our Founding Fathers. We believe in freedom. We believe in America. 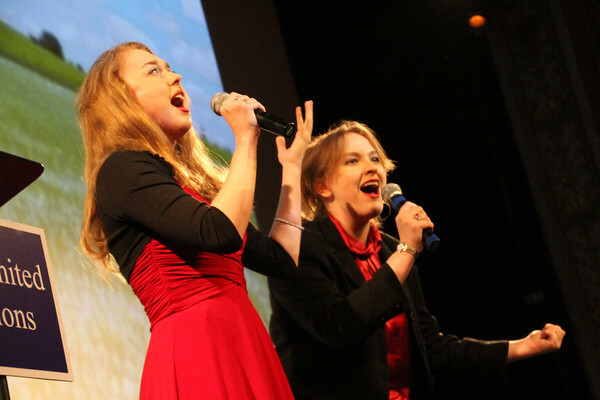 We believe in God! We're the real America: We don't sit around with expensive laptops on Wall Street. We're too busy working hard in constructive -not destructive- ways. We don't have a lot of money, but we have a lot of heart. Tea Party patriots don't dress up and demonstrate on the street to complain. Instead, we meet and pour over the legislative records of Republicans both in office and running for office. We contact legislators and keeping pressure on them. We are following the debates and going to the polls. Warning: This year's presidential election rests in the tea party's hands. The Republican nominee can't win without support from the tea party. At this point, Governor Mitt Romney will soon seize the nomination yet he'll need the support of unstoppable, passionate voters to win the presidential election. While all "Tea Party" Americans agree that President Obama must be defeated in November, many hold deep suspicions that Governor Romney is a Massachusetts moderate. However, he is reaching out to the tea party and he has begun promoting some rather Tea Party-friendly positions (e.g. a plan to partially privatize Medicare). However, in order for Governor Romney to win the presidency, he must gain the support of the tea party. One way would be to nominate a strong, tea party conservative to be his Vice President. Join the tea party and build the fire for truth and a return to freedom, faith, and family values. Let the fire spread across this gorgeous country! Let God lead you...and not polls. The Founders fought the "Establishment" and taxes galore. Fight for what's right! And never, never quit! 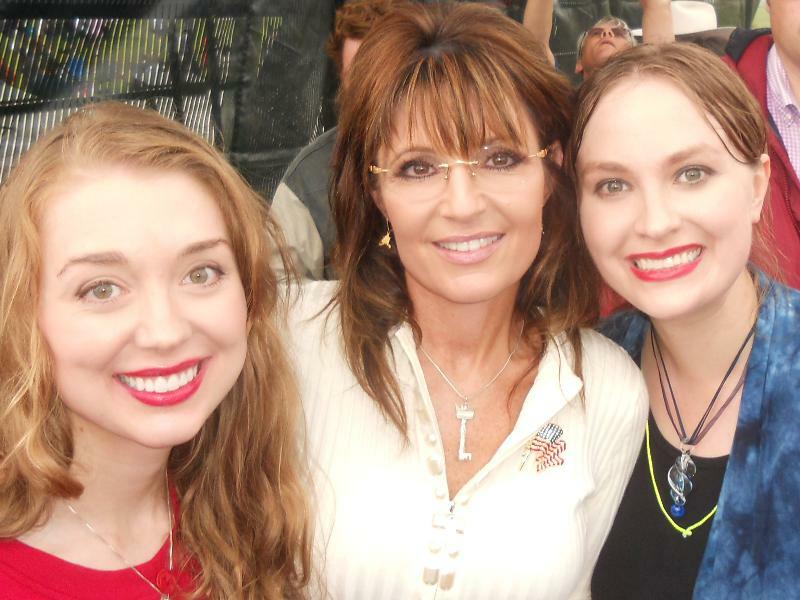 As we said and sang for Sarah Palin at the amazing Tea Party event that couldn't be rained out, may "God bless America"! 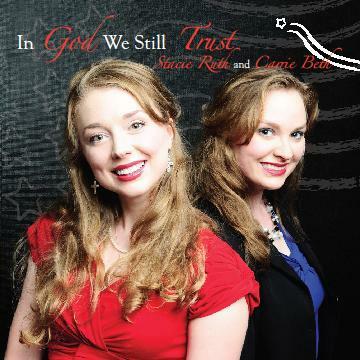 Check out this video of Stacie and Carrie singing "In God We Still Trust" which was recently uploaded! 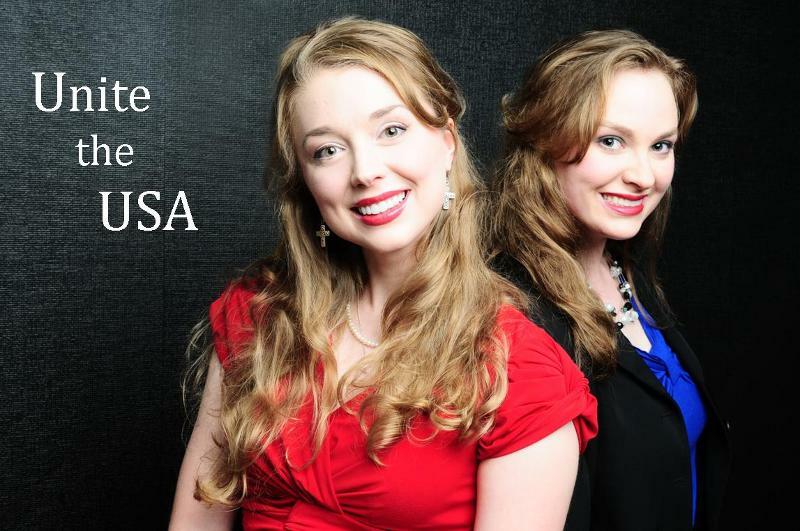 Given today's threat against religious freedom, this song's message is especially timely. Please share this video with your friends. Thank you for your support! 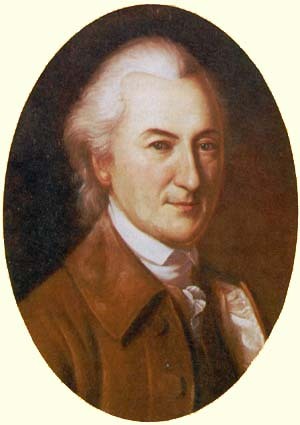 John Dickinson (November 20, 1732 - February 14, 1808) was an American lawyer and politician from Philadelphia, Pennsylvania and Wilmington, Delaware. He was a militia officer during the American Revolution, a Continental Congressman from Pennsylvania and Delaware, a delegate to the U.S. Constitutional Convention of 1787, President of Delaware and President of Pennsylvania. Among the wealthiest men in the British American colonies, he is known as the "Penman of the Revolution" for his Letters from a Farmer in Pennsylvania.